The Sharing Turbine design project is based on the digitalization of working and learning tasks for apprentices in the construction industry in Germany. These tasks are presently accessed and recorded through compiled a White Folder comprises of paper based documents, to be completed by hand. The present format is hard to update and not suited to use as a practical support tool or knowledge resource in the workplace. Sharing Turbine aims to develop a digital tool allowing better access to a range of different learning resources including multi media. The use of digital media should better support personalised learning fro apprentices with different learning needs and enhance the ability of trainers to provide feedback to apprentices. As well as recording learning Sharing Turbine is intended as a shared knowledge resource, linking together formal and informal learning in different contexts, including the training centre, the vocational schools and the workplace. Formal training can be enhanced by informal practice based learning in the workplace, whilst at the same time it provides a tool for transferring learning and knowledge form the training centre to the workplace. 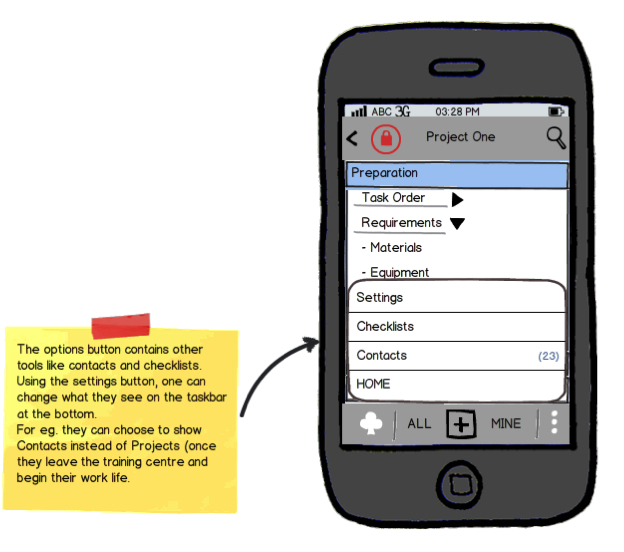 To develop a prototype workflow for peer production of online and mobile learning materials. There was considerable discussion about which task from the White Folder to pilot under Rapid Turbine. It was eventually decided to work on a task called Rohrleitungsbau (pipe and sewer laying). Mobile apps are increasingly being used in this work area and the trainers are keen to provide a wider range of work and learning opportunities and experiences. The development process is taking place through eight steps with iterative feedback loops. The basic UI has been developed using a series of templates. The templates are intended to be generic, so that they can be deployed for other tasks in the White Folder. Work is currently ongoing to provide back end server support and produce native iOS and Android apps. The development team includes BauABC, Pontydysu, the University of Bremen, HsKa and Tribal. For more information contact Graham Attwell – graham10 @ mac.com.